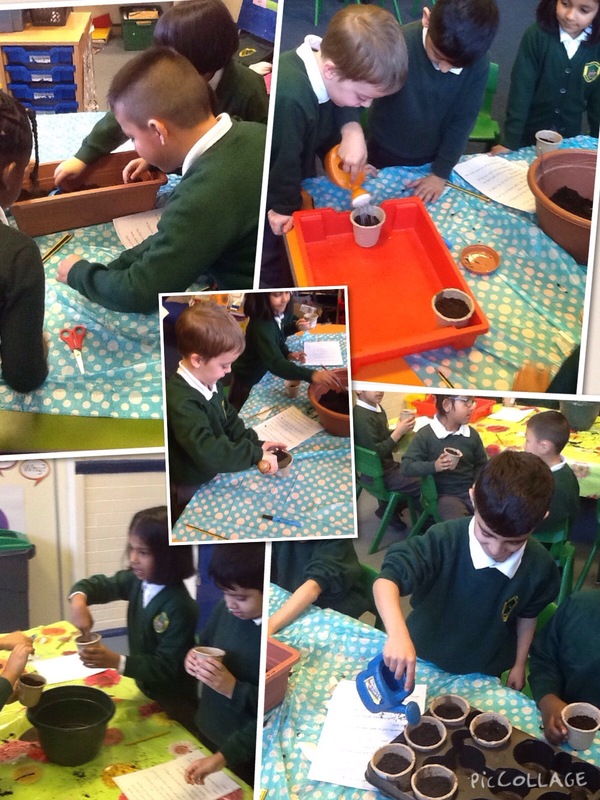 After planting sunflower, tomato and pea seeds 2 weeks ago we have been watering them and watching them grow. 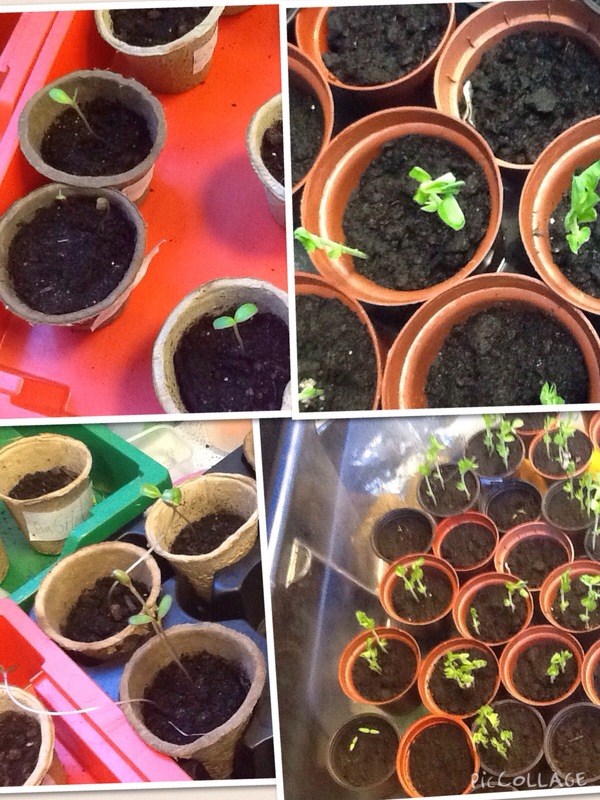 Here are our some pictures of our growing so far. 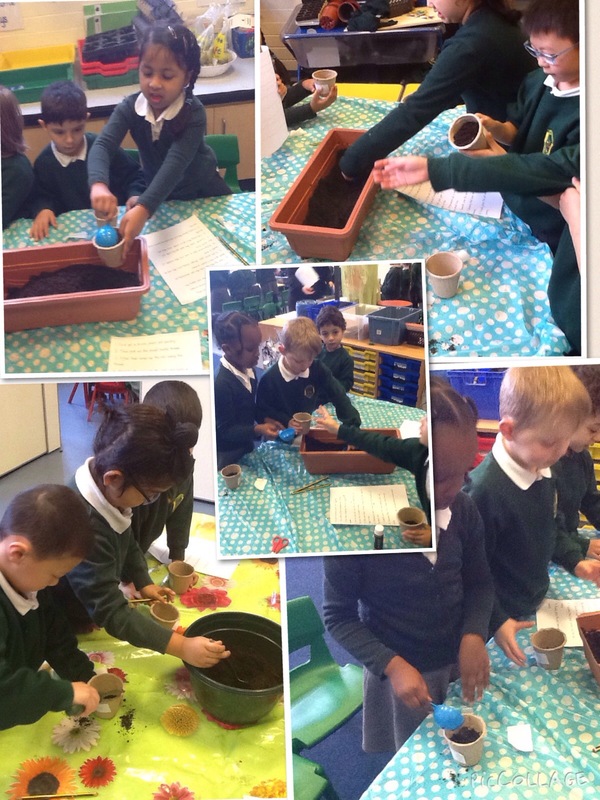 The children followed instructions to plant sunflower seeds in English they then wrote their own set of instructions for how to plant seeds.